This week on the show we continue our feature of Tom Lopez’s ZBS Foundation with the fast-talking galactic gumshoe, Ruby. 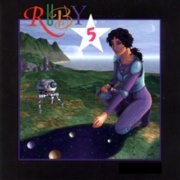 Our feature: Ruby 5. The natives of the Awakening Archipelago turning their islands into a wacky world based on a story called The Land of Zoots. On one island they’re growing feathers on everything, trees, buildings, fireplugs, even themselves. On another, they have created Bubblesville, where the inhabitants live in round rainbow colored bubbles that float about… But the strangest thing is, the Land of Zoots never existing as a film, play, or book, so how did it get into everyone’s consciousness? Ruby goes island hopping to get to the bottom of this, encountering en eclectic (and eccentric) band of characters along the way. All this sizzles in the hot sauce of Tim Clark’s wild Retro-Future Music. We’ve learned that ZBS is working on the penultimate and final Ruby – Ruby 9! – and will talk a bit about what the new program has in store in the coming weeks. First up, Chapter 7 of The Cleansed. Saul meets Zeke, a tortured boy who John Prophet left to die in the opening of Chapter 1. Saul puts on the mask of the kind, welcoming soul, while hiding the deep danger that awaits Zeke if he should follow the dark trickster. Because even while celebrations ring in the streets, shadows descend.